Local records Office provides necessary information to prospective homebuyers. In response to a recent article on MoneyTalksNews.com, the company spotlights some of the benefits to buying a home as opposed to renting. The decision comes down to what is right for each person, but each side has its advantages and disadvantages. The article focuses on two major considerations: time and money. Stacy Johnson, founded of Money Talks News, discusses the finer points of each. Johnson says that owning a home is more beneficial overall if the homeowner is looking to stay at least five years. Renting a home saves time and expenses. When something breaks, the landlord is responsible for repairs. Homeowners are responsible for their own upkeep and repair. They must repair it themselves or find someone else to do the work and this can become costly. On the plus side to ownership, homebuyers can renovate as they please. The only restrictions are imagination, budget, and local zoning laws. Renters are generally very limited in what they are allowed to change. For people who enjoy moving from place to place, renting is a good option¬. It is also preferable for those who don’t want the burden of home repairs. But for someone who wants to create the home of their dreams, buying is probably the best choice. Next, Johnson focuses on the money involved. 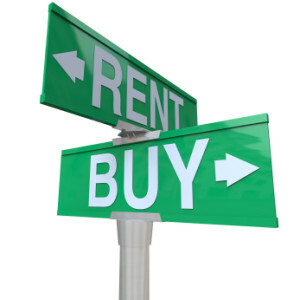 Rentals often require first month’s rent, a security deposit, and maybe a pet deposit up front. 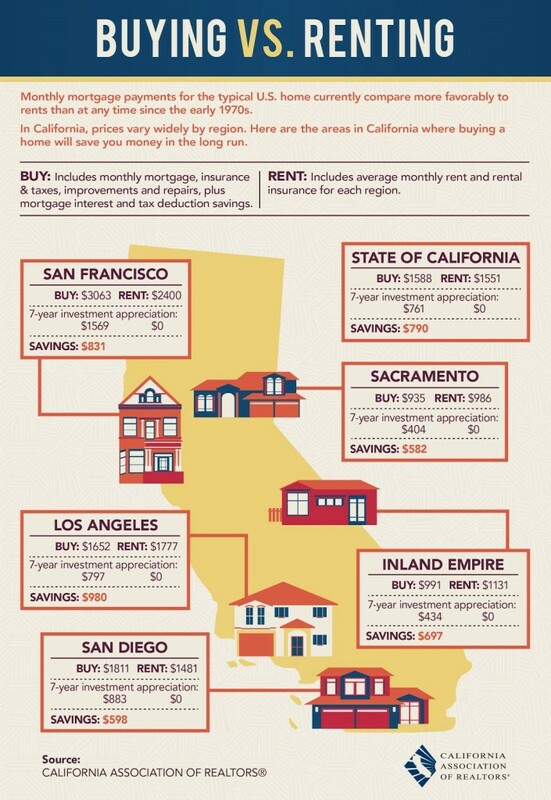 For a rental that costs $750 a month, the total cost would come in under $2,000. Buyers, on the other hand, are responsible for a down payment, closing costs, and other fees. These exceed the cost of rent substantially. Johnson estimates that for a house worth $185,000, the owner will spend nearly $45,000. This is assuming a 20% down payment on the home. When he breaks this down into monthly payments, it exceeds what the owner would have paid to rent. And that doesn’t include other expenses such as taxes, insurance, or maintenance. The advantage to buying a home is that eventually the homeowner will pay off the mortgage. This means they own the house. A renter will continue to pay monthly, and rent will probably increase. Online calculators are only helpful in the process to a point. They often require input of information that the homebuyer has no way of knowing. “Buying a house is a very important step in someone’s life,” acknowledge Robert Romero, spokesman for Local Records Office. “A prospective buyer has to make sure they plan to keep the property long term because there are high sales expenses involved. It is not as easy as renting a property and then moving to a different one a short time later” Because transaction costs are high, is it more difficult to recoup costs when selling after only a short time. The buyer is likely to lose money. Local Records Office helps prospective buyers to research the property before they make a decision. This can help them determine if it fits their needs and is a good long0term investment. The company looks into crime rates, school data and other information about the area. Local Records Office saves buyers the time, money, and researching themselves and provides valuable data at their fingertips. Local Records Office provides homebuyers with valuable data the location of their prospective home. They compile data from a wide range of source and databases. Homeowners are able to view detailed information about the history of the home and neighborhood. The company provides beneficial data for informed home buying decisions.